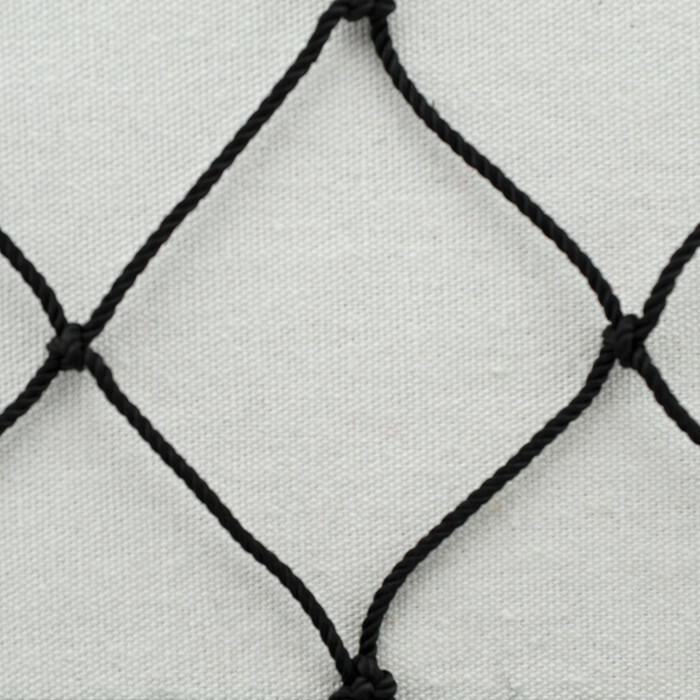 High quality knotted cargo netting for sale is available in 10 foot or 3 foot wide. 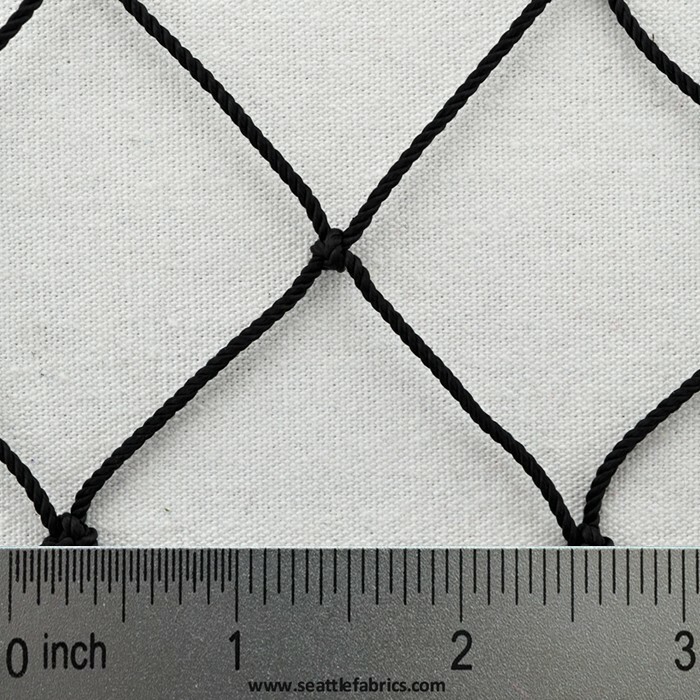 Perfect for making cargo hammocks, sport screens, storage bags, etc. 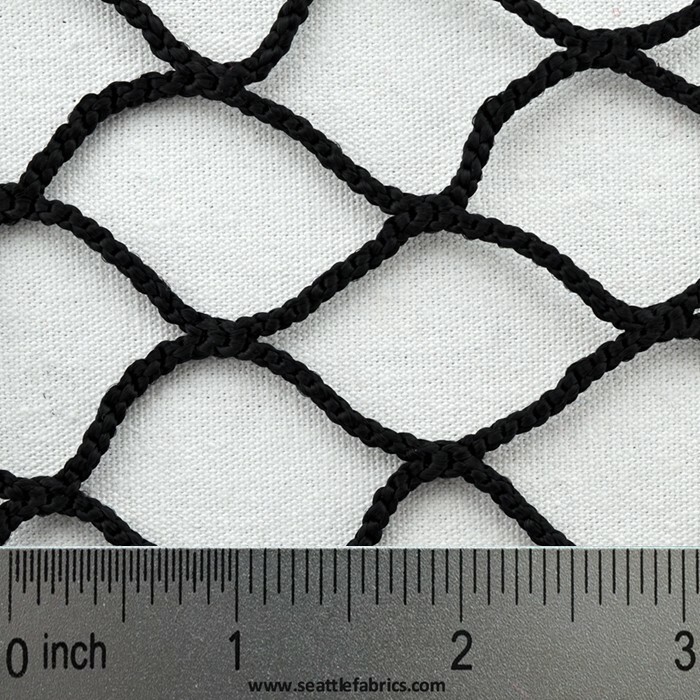 3.5" knotted, dyed black.